Jonathan is interested in understanding the effect of human-caused landscape change and climate change on wildlife, biodiversity and ecosystem services. He works on developing landscape scale models of how landscape structure influences biodiversity and ecosystem services in both rural, urban and coastal landscapes. By integrating these models with data this work has answered critical questions about the interaction between threat processes and ecological and social processes operating at a range of scales. 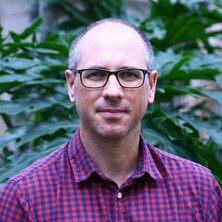 A key focus of Jonathan’s work is the application of our understanding of drivers of change in environmental systems to decision-making a policy formulation. He uses decision science approaches to achieve this and works closely with end-users (especially government) to maximise impact and uptake. This work has made important contributions to understanding appropriate management and policy for koalas, coastal planning, and linear infrastructure planning. Environmental policy and planning relies on information to make informed choices and Jonathan is interested in how we can better design investment in monitoring data and research to maximise environmental benefits. His work in this area focusses on monitoring design in complex socio-ecological systems and how research should be prioritised in these systems. Bachelor of Arts (Hons), Kent. Journal Article: Is habitat fragmentation bad for biodiversity? This PhD project will aim to explore the complex trade-offs that occur in environmental offsetting using an existing modelling framework that we have developed. The modelling framework has been developed for South-East Queensland, Australia but could be extended to other areas and for multiple ecosystem services. The outputs of the project will include making important policy contributions to the offset debate and have the potential to influence how future environmental offsets are developed. The ideal student will have quantitative modelling skills (or the ability and interest to learn these skills) and interests in environmental policy, environmental economics, biodiversity conservation, or ecosystem services. This project is a collaborative project between the University of Western Australia (UWA), Perth and the University of Queensland (UQ), Brisbane and the successful student could be based in either of these locations. Prior to beginning the PhD the successful student must also obtain a postgraduate scholarship (or equivalent) from either the University of Western Australia (http://www.scholarships.uwa.edu.au/futurestudents/postgrad) or the University of Queensland (https://graduate-school.uq.edu.au/scholarships). For more information please contact Dr Sayed Iftekhar (mdsayed.iftekhar@uwa.edu.au) or Assoc. Prof. Jonathan Rhodes (j.rhodes@uq.edu.au). Is habitat fragmentation bad for biodiversity? Cost-efficient fenced reserves for conservation: single large or two small? Spatial map of resistance estimates for the koala (Phascolarcotos cinereus) in South East Queensland. How do decisions by stakeholders affect weed distribution at a landscape scale? Managing natural capital assets and ecosystem services under global change.